Fraternity leadership is provided by our spiritual assistant and a council elected annually by the members of the fraternity. 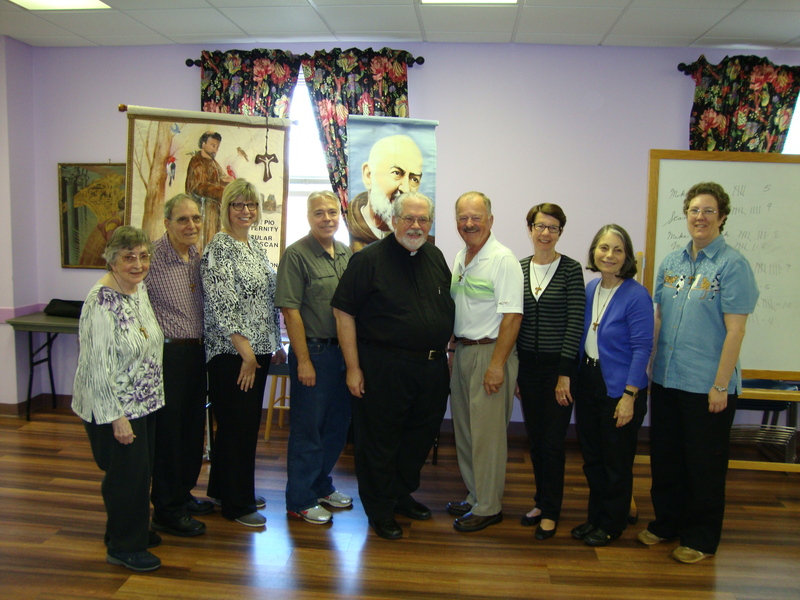 2014 | Left to right: Ida Irwin and Frank Peluso; treasurer, Sharon Winzeler; vice minister, Mike Evanuick; spiritual director, Father Doug Reed; minister, Stan Driscoll, secretary, Maureen Copan; formation director, Joanne Jacovec; and councilor, Suzie Nelson. Elected Sept. 28, 2014.